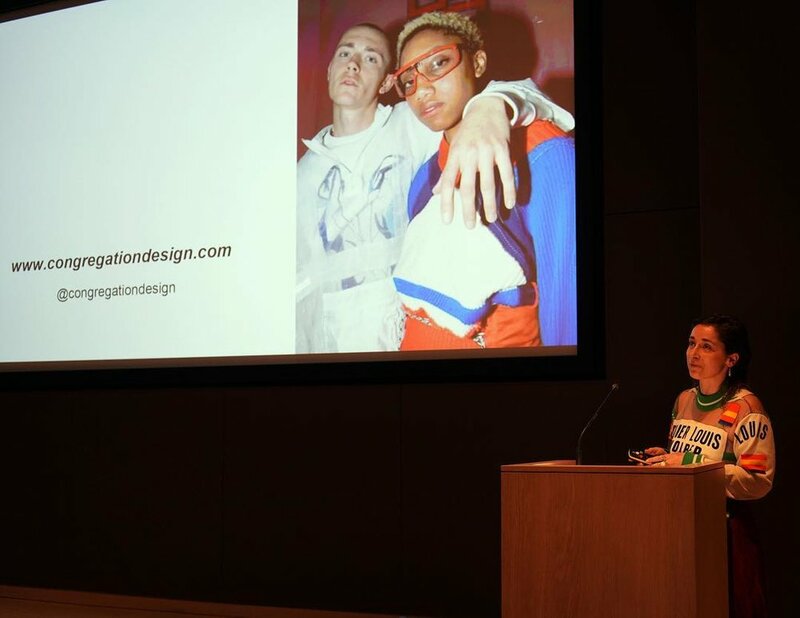 For the last Design Connections which took place at the London Design Museum on Wednesday 19 September 2018, CONGREGATION Design presented its work to an audience of key industry figures and international delegates. in order of presentation:⠀1. @Congregationdesign⠀2. Cellule @salomebazin_⠀3. Matthew Plummer Fernandez @plummerfernandez⠀4. @Saint_Lovie @TheLaundryArts⠀⠀5. @UnitLab⠀6. @Esna_Su⠀⠀7. Kusheda Mensah @modularbymensah⠀8. @StudioMutt⠀9. Gulia Tomasello @gitomasello⠀10. @azeemamag⠀”Image courtesy of ADF British Council, Design Museum, October 2018. Image and texte ADF British Council, Instagram, September 2018. Design Connections is an annual design industry networking programme. Organised by the Design Council it offers directors and curators from design museums, centres and festivals around the world an inspiring and immersive introduction to the best of the London Design Festival, alongside meetings with leading designers and organisations with the aim of brokering new connections and collaborations. Congregation is a fluid design structure, from fashion practice Congregation aim to challenges the global industry by proposing a sustainable and singular approach to the current social and commercial pattern.